Referring to Can ArcGIS Pro do Pie Chart Symbology for Points?, I would like to support that adding pie charts and other symbology options that have been existing in ArcMap for a long time are also necessary in ArcGIS pro. When attempting to fully migrate python scripts from 2.x to 3.x, we've hit this hurdle where Pro doesn't support pie charts. This is a missing element in their flagship desktop software and their APIs. And I agree with the others on performance, simply changing symbology of a layer or category patch of a layer is an absolutely painful experience. Surely this operation doesn't require a dedicated 3D card? If it's using 3D functionality /libraries when opening the symbology pane - perhaps this can be turned off by default- or detect if there is a dedicated graphics card or not. I don't imagine needing 3D symbols anytime soon, AGOL needs to improve the Scenes to be as configurable as the map viewer- popups, filters, symbology and labels. I've also experienced constant crashes with simple edits to various layout elements in multiple layouts. Pro is not stable enough to replace Desktop. Very useful, it would also be nice to an option for barcharts. Can also do data labels on each pie values. Pie chart will synchronise with MXD scale. At the ESRI UC, one of their statisticians explained that pie charts are hard to interpret, so they deliberately left them out! "Dials" and "Donuts" are all over AGOL, which aren't much different. Certainly a pie chart with 999 slices is crazy, but showing Yes/No results from a survey is quite nice in a pie chart. 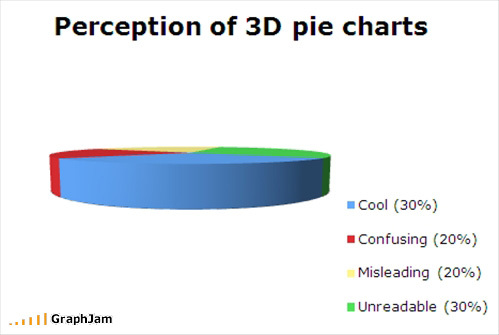 How about this ESRI: put pie graphs back, and your statisticians don't have to use them! I have to revert back to Arcmap due to this. I really can't believe this was deliberate. Absolute must. We have waited far too long. We are waiting on pie chart to migrate from ArcMap to ArcGIS Pro. This is a very uselfull fonctionnality to show statistics. Re: Can ArcGIS Pro do Pie Chart Symbology for Points?